8 Strangers, 8 points of view. 1 Truth. 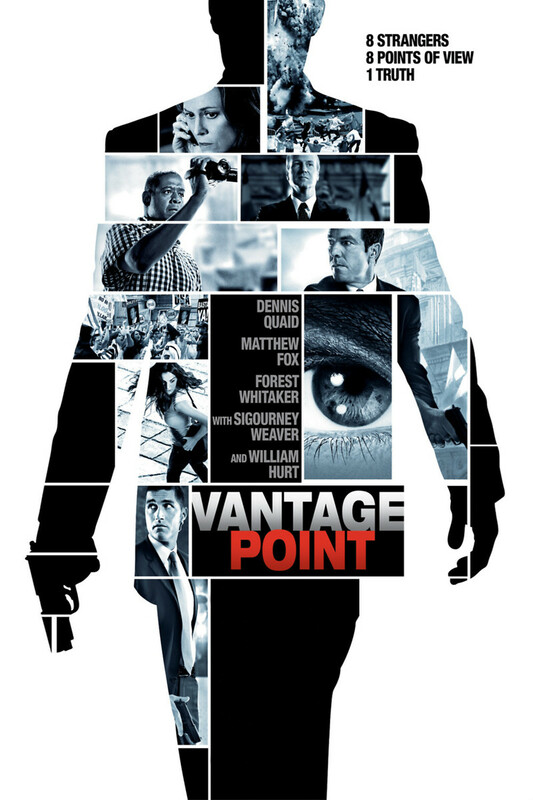 Vantage Point is a political thriller centering around the attempted assassination of the American President. The same section of the movie repeats eight times, each time from a different vantage point. As the movie progresses through each vantage point more and more details of the story are revealed until finally we know for sure what happened. The first vantage point follows a news reporter, the second secret service agents, the third a spanish police officer and so on. In this way the film explores the way in which truth can be a relative rather than an absolute.